Rae-Rae: 21st Birthday Gift Ideas! Okay basically my sister is turning 21 in a few weeks, it's a big birthday and she's also just finished her second year of uni so props to her for getting through her endless exams (ten in total ugh! ), i'm so lucky i've only got three! So anyway I felt that to celebrate both of these things I should treat her to something nice. I've been looking online for ideas and i've come up with a few things. So I thought it might be interesting to make a post on gift ideas, do bear in mind i'm working on a student budget here! I've included a couple of items that are a bit more pricey if you can afford it but most items are below the £50 mark! Perfume is always a nice gift, I love getting perfume and I usually get a new fragrance for Christmas. 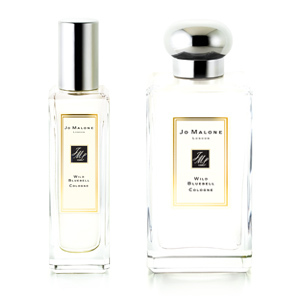 This is Jo Malone's Wild Bluebell which I love, I don't have it personally but i've picked it up in stores and I love the scent so much. Its £72 for 100ml (eep) but for a 21st I don't think thats too bad! You can also get 30ml for £36 if you were looking to spend a bit less. 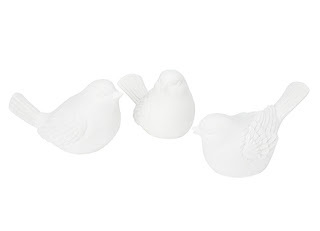 Next up these adorable little white bird lights from Laura Ashley, its a set of three for £18.75 as they are currently on offer. I think these are so so cute, especially for someone who is quite girly and likes homeware gifts like myself and my sister. They are free standing and LED lit which I think is nice so you could put them anywhere. This is a main contender for my sister because I know she'd love it its a Monica Vinader Turquoise Fiji Pacific bracelet and these are £30 from Steffans.co.uk. I just think these are so simple but elegant at the same time and there is a huge range of products and prices. 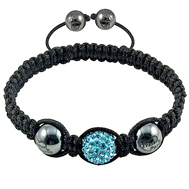 On trend at the moment are the Shamballa style bracelets, i'm not sure what I think of them yet, sometimes I like them and sometimes I don't but I like this one, its by Tresor Paris also on Steffans.co.uk and its the Luneville bracelet and retails for £49 so quite pricey for a bracelet but nice for a special gift or treat. 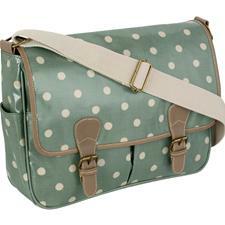 This bag is by Cath Kidston (I adore Cath Kidston) and my sister has had her eye on this for a while, I won't be getting this for her, would if I could but it's £68, which I don't think is bad at all I just can't afford to spend quite that much. But the quality is lovely, durable oilcloth and its a great size! 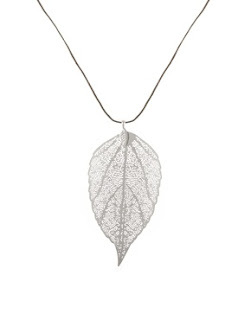 Now me and my sister both love jewellery like this so i'm seriously considering this as well, it's a gorgeous silver leaf pendant by Pieces which you can get on Asos.com and this is £12, which I think is a bargain, its a long chain which is nice. Also because this isn't pricey it leaves a bit of cash to put something with it which is nice! 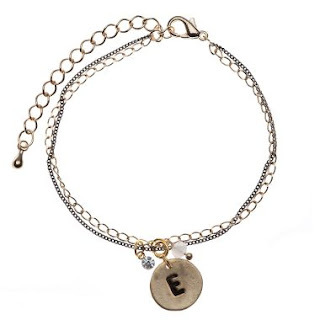 I love this bracelet its the Ellie bracelet by Orelia and its £12 which is pretty good value, its just cute and delicate which is nice and means you could team it with other bracelets or just wear it by itself. They do have other initials as well but unfortunately they have fallen into the 'CAMELS' situation which is very frustrating if you are one of the many that do not fall under those intials! Why brands have decided to do this is beyond me!? Okay now I know a lot of people hate Jack Wills, I actually don't mind it, I would never wear a full Jack Wills outfit but I do like some of their clothes. Yes they are expensive there is no getting past it but once in a while i'm happy to pay especially if its for a gift. My sister loves JW and would love this hoodie, its the Hanstall hoodie in jade marl, I love this colour but I can't wear it however my sister is blonde and has a darker skin tone so it would suit her. This is £69 which is fairly average for JW hoodies. So another Laura Ashley item, I love Laura Ashley if that makes me old then so be it because I love it! 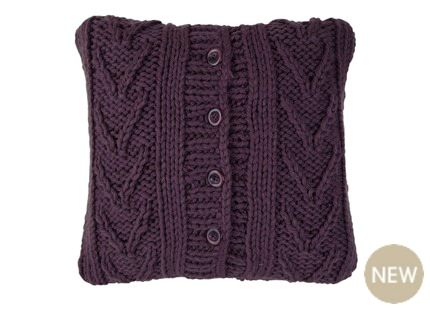 This is the Elsham Knitted cushion and its on sale at the moment at £41.25, these cushions are so soft they feel amazing and are so cute. I love this colour as well but they also have a beige and sand colour which are also lovely! Its something a bit different to give as a gift but definitely worth a look if the person you're buying for is interested in homeware and design. So those are some of my ideas, another couple that i've been thinking of is any product from Soap and Glory, i'd be over the moon if I received anything from this brand. Also another idea i've had is to put mine and my boyfriend's funds together and buy tickets to see Cirque du Soleil, this would obviously be for as and when they were touring but I know my sister is desperate to see them. I've been lucky enough to see them five times now and every time is as amazing as the previous! So that would be a great gift. Anyway this was a bit random and I hope it wasn't dull. If anyone has any ideas for gifts or things to do for a 21st then let me know i'm always looking for new ideas! These are all such great gift ideas I'm sure she would love any of them. I definitely think you should go for the silver leaf pendant - it is something that she can keep for the long run, plus it is beautiful. That purse is freakin' adorable but I definitely know what you mean in terms of staying in your budget. I'd go for the leaf necklace and some fresh flowers-who can resist either?! Your ideas for gifts are not bad for use. Do you like to suggest some ideas for Send gifts to Pakistan to my friends on eid? Thanks for sharing this awesome gift ideas i like to gift pakistan to their friends.